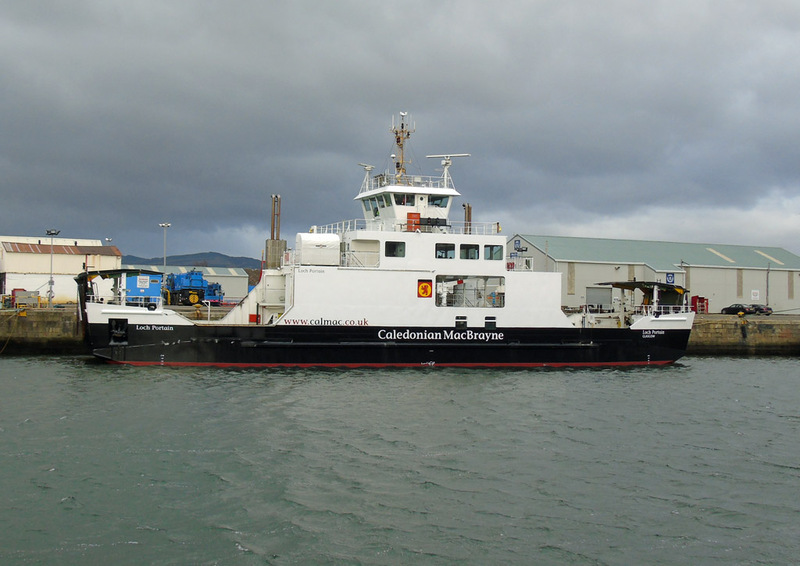 Islay ferry Hebridean Isles undergoes bow maintenance at the Irish Berth, before returning to Kennacraig, 27 January 2017. 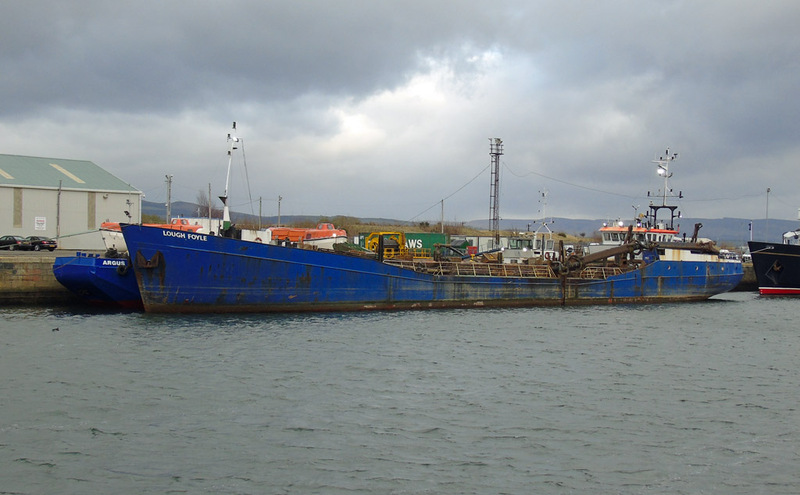 Dredger Lough Foyle waits in JWD (barge Argus inside) to enter the Garvel 12 February 2017. 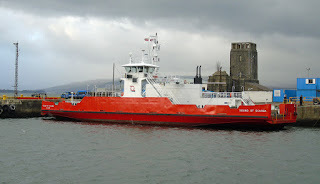 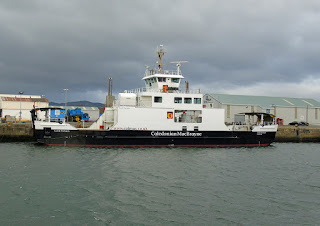 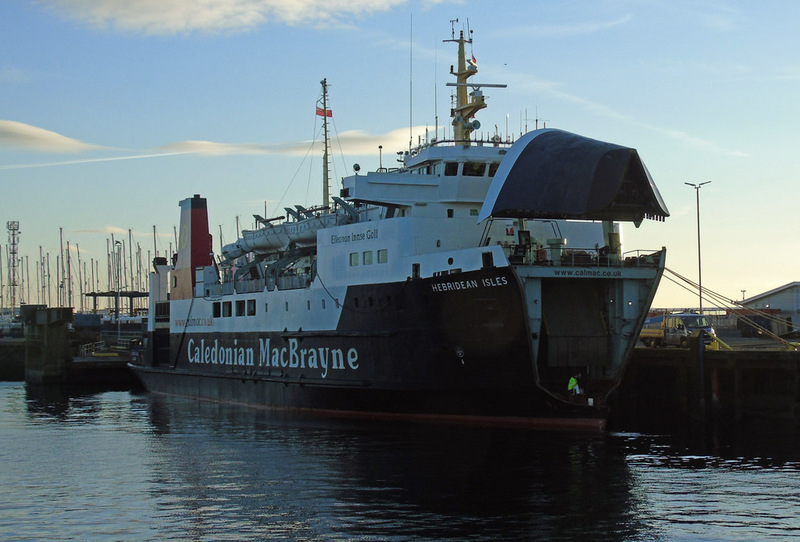 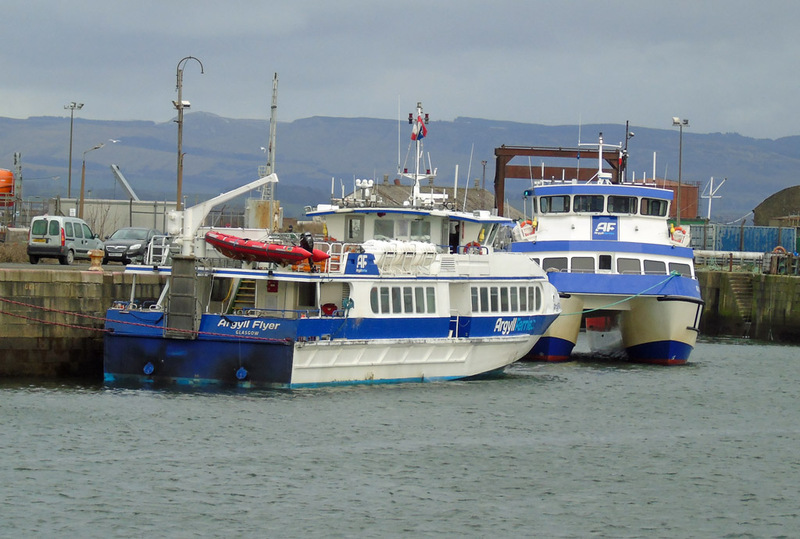 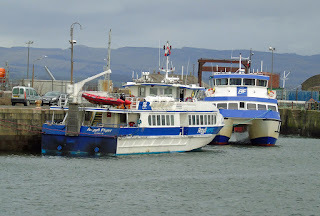 No Argyll Ferries' services due to high easterly winds, as Argyll Flyer and Ali Cat shelter in JWD, 12 February 2017.